The Mini Rigid Mount is very simple mounting solution with a horizontal pole connected to a vertical pole by a Mini Tube joint - a great iPad Mounting solution. It is easily "upgradeable" to a Mini Folding Mount if needs change or is easy to attach, detach and performs well as is. 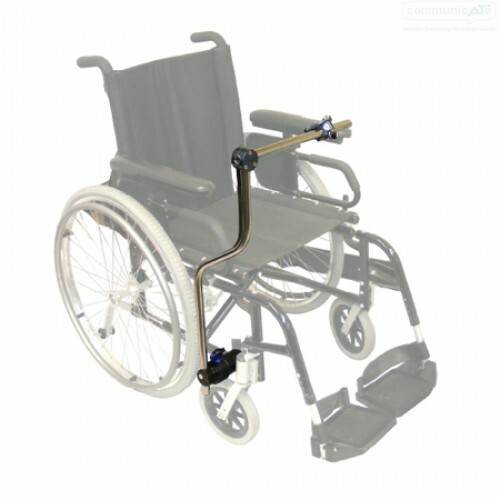 The mount is non-directional and may be installed on either side of the wheelchair. 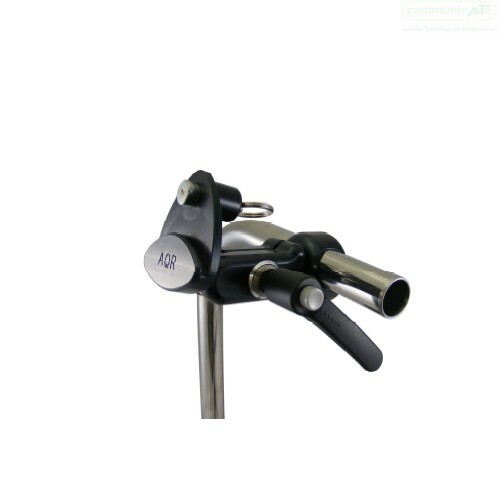 This Mount consists of a Frame Clamp Assembly, a Vertical Tube, a 90 Degree Tube Connector, a Horizontal Tube and a Mini Quick Release Base. The Frame Clamp Assembly is composed of a Frame Clamp Inner Piece and a Removable Frame Clamp Receiver. The Frame Clamp Inner Piece is clamped or bolted to the wheelchair frame while the Receiver holds the Vertical Tube. An AAC device or iPad can be attached to the mount using an adapter plate, tray or a case specific to that device (not included with the kit, ordered separately). 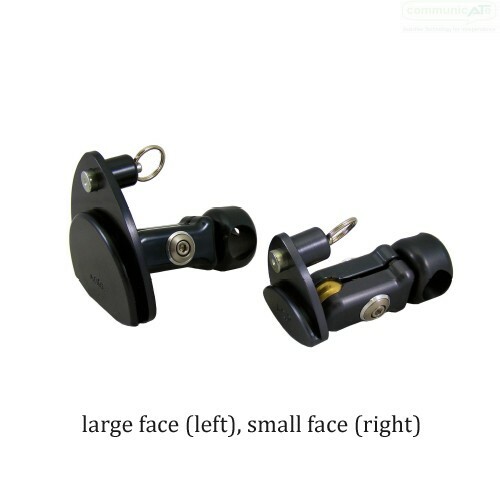 This adapter is attached to the Horizontal Tube of the mount assembly by means of the Quick Release Base (mini) that comes with your Mini Mount. It is then secures the device and allows for quick detaching of the device from the mount when needed. 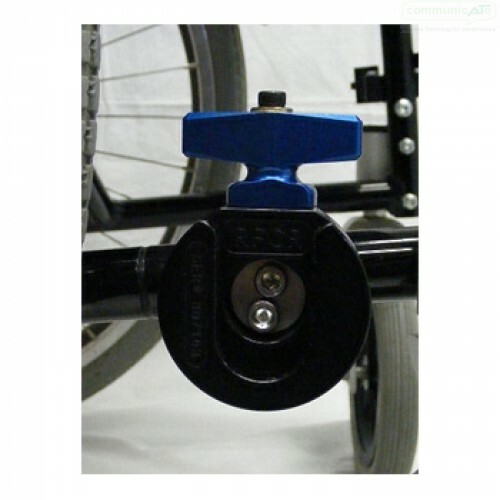 The complete mount can be lifted out of the Frame Clamp Receiver and removed from the wheelchair leaving only the Frame Clamp Assembly attached to the wheelchair frame. Articulating Quick Release Bases allow device positioning independently of the mount kit's poles, fine tuning at the attachment point. DAESSY Mini Folding Mount Tube are also available for purchase separately. The M-Series by DAESSY is a smaller, lightweight mount solution which may not be suitable for larger devices exceeding 4.5 kg or eye camera systems that require very tall setups. When needing to support larger devices or requiring a taller setup refer to the DAESSY Rigid Mount ROP (DRM1ROP). Here's a video taken by Indata at ATIA Chicago in 2010. Adam from Daedalus Technologies gives us a short run through of some of the mount kits available.